Around the turn of the millennium the web looked in trouble. The information superhighway of the 1990s seemed to have led nowhere and content was largely re-hashed from print media and ‘brochureware’ and advertising cluttered the web. 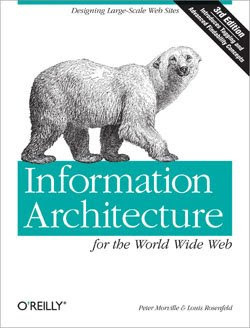 Into this great web depression came the O’Reilly Group (famous for their Information Architecture for the World Wide Web better known as ‘the polar bear book’ for the bear padding across the front cover). In 2005 they began to talk about web 2.0, a rethink of how the web gets its content and how it can work. The key to this new thinking was user participation. Users didn’t just want to read the news, they also wanted to reply, parody, classify and make their own news. And now every web whiz kid and digital shaman is toting the idea of web 2.0. For writers, web 2.0 promises to break them out of the safety of the lonely garret. Several writers are taking the plunge of posting their work online then getting feedback almost immediately. Wikipedia sniffs at fiction blogging calling it “small-scale fringe activity in the world of blogging”, but Australian authors like John Birmingham are big fans. As well as his personal blog he also gives fans of his work a run. The Mini-Burger publishes fan fiction based on Birmingham’s thrillers. This fan fiction throws in plot twists from Agent 86 to zombies and so far there’s more than a hundred pieces of fiction. And the author? He’s relishing his Mini-Burger and has organised two online festivals of fanfic. It’s a challenge for writers to think of themselves not just as the creators of text, but the organisers of user generated content (UGC). With every reader able to comment and correct, some journalists are threatened, but it really means adapting to new skills. Are comments at the end of a news article really any different from letters to the editor? The major difference is the speed of responses and ease with which people can respond. If you make a mistake on the web, an amateur expert can call you on it almost immediately. Blogs created citizen journalist, individuals who could report their stories using simple web publishing tools. One of the earliest was Salam Pax, the Baghdad blogger who reported from his home in Iraq about the occupation around him. He was so successful that his blog was made into a book and he received journalism assignments in the US and UK. It’s not just blogs. YouTube means anyone can upload a roughcut of their movie onto the web and MySpace creates a stage for bands and songwriters to showcase themselves to record companies (Arctic Monkeys and Lily Allen both built fans online). Writers can use these same tools, looking at creating their own low-budget film or putting fiction on a MySpace page. In the US, sci-fi author Scott Sigler has taken his fiction to a new audience by creating a podcast of his novel: recording short episodes then uploading it to iTunes. His audience of more than 100,000 subscribers want their content on-demand so they can listen on a MP3 player anywhere. They then come back and make comments in the iTunes store, write blogs about what they enjoyed or create Facebook groups like ‘I am a Scott Sigler junky’. Tools aren’t just about self-promotion. The physical workshop has moved online too. Some require sign-up fees or an overpriced tutorial, but there are also free creative communities. One of the more popular workshops Zoetrope was founded by US film director Francis Ford Coppola, so writers can post short stories, poems and screenplays for review by fellow members. The catch is that you have to contribute more than your fiction to be a part of this community. Before you can post your own story for feedback, you need to have written five reviews of other people’s work - a handy check for the ‘It’s all about me!’ writers. But you don’t need Coppola’s sign-off to start an online workshop. New creative writing groups appear on social networking sites like Facebook everyday and it’s easy to start a sub-branch of a chatroom. It’s this ease of creating web content that has made web 2.0 so easy for writers. So ahead of the game G Francis! Just think, in a decade you'll be able to pop all such scribblings in an eBook and call it Memory Lane 2.0! A great overview of how we've gotten to where we are now... but whereto from here? How much can a polar bear bare? I am overwhelmed with the possibilities out there. Truly inspiring! It's fair enough that writers are expected to contribute five reviews in exchange for submitting their own work to Francis Ford Coppola. I think it encourages a sense of fairness and sharing which other blogs don't. These sorts of innovations provide a non threatening way and easily accessible way to participate in online discussions! So many people writing on the web: who is actually going to read all this stuff? And as we speak Google are putting every single book, article, and written piece of info online. So much to read... so little time! Great idea. Could also be used for a collaborative work of fiction - the old 'give a thousand monekys a typewriter' concept, perchance?